environment focusing on making the game of golf more enjoyable for golfers of all skill levels. Jeff is a Class A PGA Golf Professional with extensive experience over 20 years teaching the game of golf to golfers of all levels. 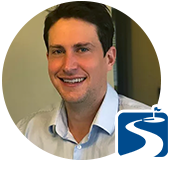 Jeff was the Head Professional at TPC Snoqualmie Ridge and has worked at Sand Point Country Club in Seattle and Bear Creek Country Club in Woodinville. An accomplished player, Jeff most recently held a handicap of +2, the course record at Lynnwood Golf Course and several tournament victories. A 2004 graduate of The University of Washington with a degree in History and Visual Communications, Jeff was also a member of the Husky Football team. Away from golf, Jeff loves spending time with his wife Marika, daughter Madison and son Brayden. Jeff is an avid Seattle sports fan and can be found rooting on the Huskies, Seahawks, Sounders, and Mariners. 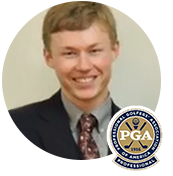 Tanner is Class A PGA Golf Professional that graduated from University of Idaho in 2013 with a Bachelor of Science in PGA Golf Management and Marketing. He works well with students of all ages and skill levels as his philosophy accounts for individual attributes and swing identity while improving the fundamentals of the swing. Tanner has worked with numerous junior golfers throughout the years, helping them improve and achieve their goals of succeeding in tournaments, playing golf in college, and beyond. Tanner played competitive junior golf while growing up in Oregon and continues to pursue the competitive side of Professional golf. Aside from golf, Tanner enjoys spending time with his fiancee Renee, and is an avid snowboarder and mountain biker. Contact Tanner at [email protected]. After being one of the top junior golfers in the state, Mike moved to Arizona to attend the Golf Academy of America and earned a degree in Golf Operations Management where he also became certified as an instructor. Upon graduation Mike began his pursuit to play golf at the highest level. Relocating to San Diego, where he playing full time on various tours. 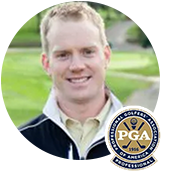 After his time in San Diego Mike worked at Sahalee Country Club as an Assistant professional before leaving to become a member of Aldarra Golf Club and pursue playing professionally again. During his time at Aldarra he formed a close relationship with former number 1 Amateur in the world, Chris Williams. Mike put his playing career on hold to go on the road with Chris, caddying for him during his time on the PGA Tour Canada as well as on the PGA Tour where he got to see the best players in the world up close. During this time Mike learned what makes the best players great and how he could help players of all ability levels reach their potential. Mixed with his own experience being coached by several Golf Digest Top 50 instructors Mike brings a wealth of knowledge that is proven and reliable. Whether you are a beginner or a plus handicap he can help you reach your goals. Kelly grew up in Kirkland, Washington and graduated from Lake Washington High School. She then graduated with a Bachelors of Science degree in Kinesiology and a focus in pre-physical therapy from Western Washington University. She spent a year working as an aide for Lake Washington Physical Therapy in downtown Kirkland. After this, Kelly furthered her education at University of St. Augustine for Health Sciences in San Diego, California where she received her Doctorate in Physical Therapy with a focus on spinal and extremity manual therapy. Kelly's passion is helping golfers return to sport. She is TPI certified for swing analysis and enjoys working with golfers of all abilities. Kelly also loves working in outpatient orthopedics because of the wide variety of ages and pathologies she is exposed to on a daily basis. Kelly has had the opportunity to work in a variety of settings with many different people. She has worked with seniors after surgical interventions and in transitional care in a Skilled Nursing Facility in addition to athletes and ranchers after surgery in Redmond, Oregon. 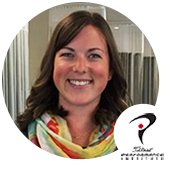 She focuses on on post-operative care, specializing in rotator cuff repairs and anterior cruciate ligament reconstructions. Finally, Kelly worked with Pediatric Therapy Services/Oregon Aquatic Rehab in Gresham, Oregon where she worked with children and adults of all ages on both land and in aquatic settings. She enjoyed treating kids with developmental and intellectual disabilities as well as young athletes. Outside of work, Kelly loves to spend time with family and friends, hike, backpack, fish, golf, swim, and cycle. She is a volunteer as a Team Leader and certified Wilderness First Responder with King County Explorer Search and Rescue. 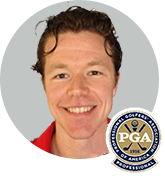 Brandon is a PGA golf professional and started teaching golf in 2003. He has been teaching and coaching ever since. Brandon spent 8 years coaching both boys and girls high school golf teams at Mount Si High School. As head coach, Brandon had the fortunate experience to work with many great players with a passion for the game and even saw some of these players move on to play college level golf! Brandon coaches with a passion for education and a commitment to optimizing student success! He has coached hundreds of students over 15 years as a golf instructor. While he likes working with adults, Brandon specializes in working with junior golfers taking them from beginners to competitive players. expectations. Reach out if you would like to have fun enjoying this beautiful game!